We are reaching the end of our series ! We have discussed several topics from Frederic Laloux’s book. Aspects and attributes that all the researched companies in the book have in common. 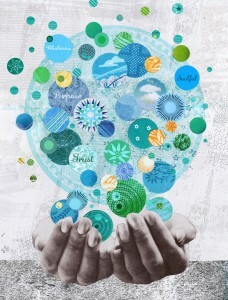 But a question reminds as many of us might sense a calling for embracing « Evolutionary-Teal » principles, for “going teal” in their own organizations and companies. What can we do ? Where do we start? At first, it might seems discouraging if you read the author’s own words ! Frederic then insists on the importance for top leaders, company owners and board members to have integrated a worldview and psychological development consistent with the Teal developmental level. He tells the story of 2 companies in his book who, once under market and financial pressure, went back to more well-known types of organization. Yet, there are still a few things that can be done. Even if it is « just » to foster a healthier form of Orange. A big deal already, isn’t it ?! Note: apart from the Holacracy website itself, I found this article on Holacracy very insightful. 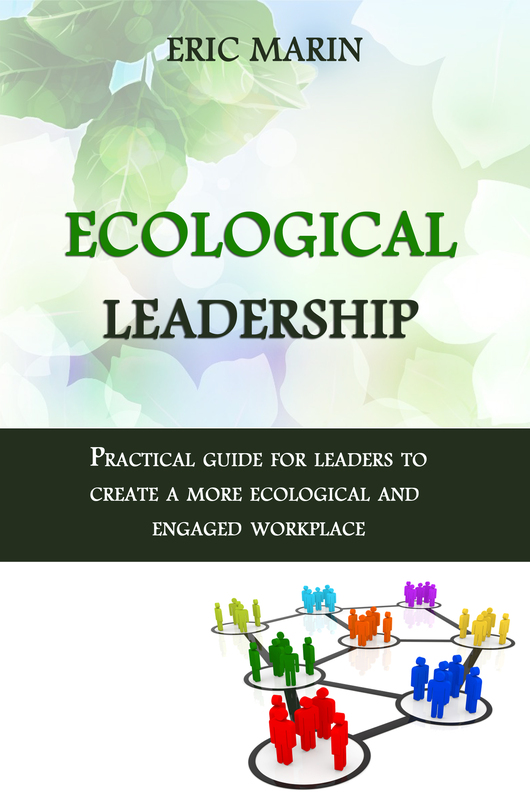 Therefore, I think we can still as managers and team members foster an environment in which people are encouraged to sense issues and/or opportunities, and feel empowered to do something about it. And also in which we feel empowered to address tensions. Providing more autonomy as well as role clarity and accountability will go a long way and is critical for people to feel they need and can address tensions as they see develop in their company. In addition, all researched companies have defined and published the core set of basic assumptions and principles under which they operate. For instance, FAVI’s three basic assumptions are : “people are systematically considered to be good (reliable, self-motivated, trustworthy, intelligent); there is no performance without happiness; value is created on the shop floor”. So, what about exploring those assumptions with your own team? Your colleagues are more likely to embrace these practices if they understand the underlying motive. Why are you passionate about creating an organization where people relate more wholly with each other? Why is it important in your own life? You can also link the topic of wholeness to the organization’s purpose. Why does the organization’s purpose need us to show up whole? I discovered in the book a nice “tool” used by some companies, called “Appreciative Inquiry” , which helps teams to explore questions like “How can we really be ourselves at work? . – Remember a time where you felt you could really be yourself at work, where you didn’t need to act or look the part in any way. Tell me about it. How did you feel at the time? – At that time, did you sense a difference in your relationships with your colleagues (and possibly with your clients, your wife or husband, your children)? What was the atmosphere like? – Did being fully yourself change anything about your work? Did you feel more productive, more innovative, more …? Tell me about it. – Can you think back and try to remember what conditions were in place that helped you to be fully yourself at work? Therefore, I think there are still ways you can start to embrace to develop more empowerment, engagement, purpose and trust so that colleagues bring more of themselves at work. And that is the leap we can decide to make. Voila ! We have reached the end of that (long !) series of 8 posts ! My humble intention was really to share the aspects of the book which resonated the most with me, based on my own aspirations a well as experience as a manager and employee. 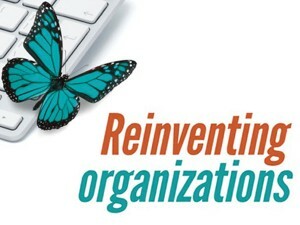 Reinventing Organization is an inspiring book. How we turn inspiration into concrete (small or big) change in our teams is what will ultimately make a positive impact, both in terms of business results as well as bringing our whole at work.